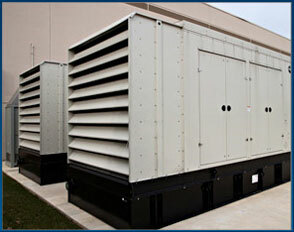 Power generators are great products to help maintain electricity in homes during prolonged blackouts. From everyday necessities like heating, cooling, refrigeration and lights, to daily essentials like cooking, laundry or kids’ bath times, our dependency on electricity is critical to our lifestyles. Why wait to the next time your family is without power to consider installing a generator? Let Local Electrical Services friendly customer service team help you determine what generator is best for your needs. Kraft Energy Systems – offers power ranging from 50kW to 3 Mw. Kraft offers prepackaged plug-and-play modular systems and customizable power components. 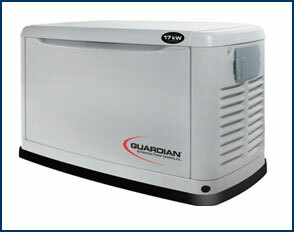 Generac – offers residential generators to sustain you during short and long-term power outages. This unit turns on automatically when your electricity goes out and covers heating, cooling, refrigeration, lighting and other daily electrical needs. Siemens – offers a comprehensive line of electrical generators to meet all types of power needs. If other, let us know who to thank! To assure a quality experience for our clients, Local Electrical Services is a member of the Better Business Bureau®, Inc. serving Eastern Massachusetts, Maine and Vermont. Review our Reliability Report. Get regular tips and advice from a licensed electrician delivered right to your inbox.